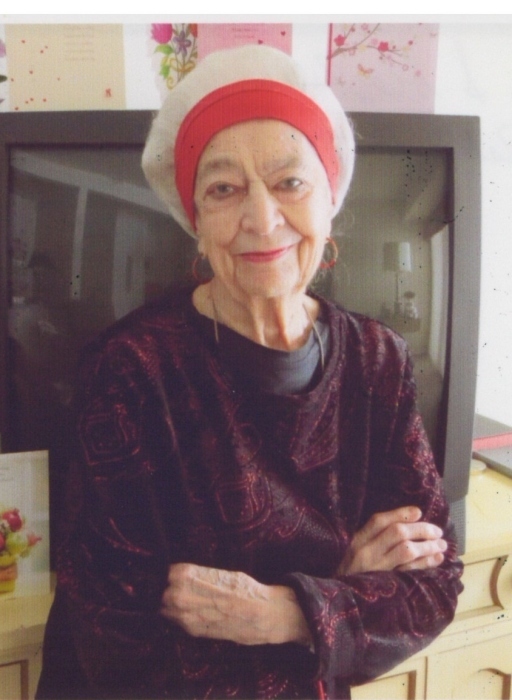 Obituary for Evelyne S. Siegel | Compassionate Funeral Care Inc.
PLATTSBURGH - Evelyne Miller Siegel, age 100, passed away early in the morning on April 7, 2019 at the Meadowbrook Health Facility in Plattsburgh, NY. Prior to her move to Plattsburgh, Mrs. Siegel was a resident of Saratoga Springs, NY for over 40 years. Evelyne was born in Baltimore, MD on February 26, 1919 to the late Harry and Bertha (Azin) Heyman. She was their youngest child and only daughter. Evelyne grew up with four older, very protective brothers. She graduated from Western High School in Baltimore, Class of 1937. Evelyne was a homemaker who was kind, loving and warm to all who knew her. She sought out new members of the communities in which he lived and made them feel at home in their new surroundings. She will be missed by friends and family. Evelyne considered Saratoga springs her home from the time she arrived in 1971 until she came to Plattsburgh to recover from an injury. Her wish was to return to Saratoga Springs and be buried next to her second husband, Dr. Benjamin Siegel. The family will honor her wishes. As a young woman she played tennis and golf as well as the piano. She enjoyed surrounding herself with interesting people and liked cultural activities such as the ballet and opera. She also enjoyed the needle arts: sewing, crocheting, knitting, needlepoint and embroidery. She actively volunteered through her adult life as a hospital volunteer, cub scout leader, for the American Red Cross and many organizations in Baltimore as well as Saratoga Springs. One of her favorite activities was serving as a docent at the National Museum of Dance in Saratoga. Evelyne married her first husband, Montfort G Miller on September 22, 1940. They were married for 29 years until his death in 1969. In 1971, she married Dr. Benjamin Siegel and moved from Baltimore to Saratoga Springs. She was married to Dr. Siegel until his death in March 1997. Evelyne was preceded in death by her parents, her four brothers, many aunts, uncles and cousins, nieces and nephews. She was the last surviving member in her generation of the Miller-Heyman family. The family and friends were fortunate to gather in February for her 100th birthday celebration. The funeral service will be held on Wednesday, April 10, 2019 at 11:00 a.m. at Congregation Shaare Tfila Synagogue, 84 Weible Avenue, Saratoga Springs, NY. In lieu of flowers, remember Evie by doing a kindness for someone. Donations in her name may also be made to the charity of your choice. Evie was a firm believer in the saying “If you can be anything in the world, be kind.” and "The best is yet to come."